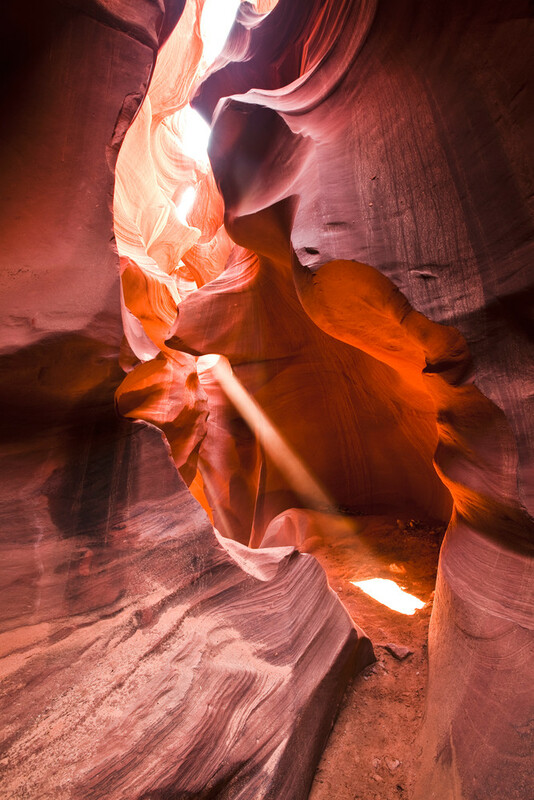 For a fleeting moment, sunlight illuminates the floor of this slot canyon, making the sandstone walls glow tones of red. Rock formations of this sort are formed over many years by flash flooding and desert winds. Many would agree that the unique lighting within these canyons is unmatched elsewhere in the world.